Been a while since I did a movie review, so here's one for ya! 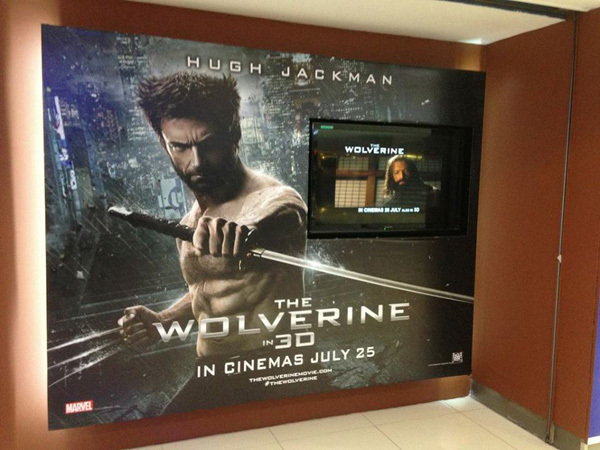 Thanks to Cathay Cineplex Damansara, I was given the opportunity to catch The Wolverine, the highly anticipated action thriller of the most decorated X-Men genre. Verdict: 6.5/10. I think this movie would be great for those who just wants action and can't be too bothered by the storyline. Truth be told, I enjoyed this quite a fair bit cos I liked the action and fight sequences. However, le bb thought there were a lot of plotholes here and there, and that it doesn't add up to the original comic. A lot of people would come to watch the ninja assassin, Rila Fukushima in her role as Yukio. For me, I think she still needs a bit more acting jobs to make her acting more natural. While she has some good scenes, there were some that she was quite stiff and needed more work. My favorite comic book character. :D But unfortunately haven't seen this.